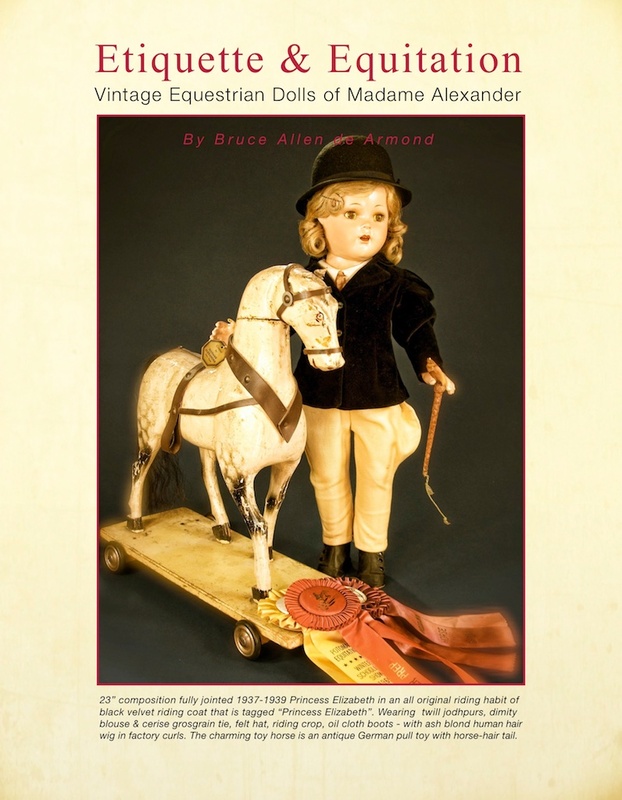 Composition Princess Elizabeth Equestrian 23" circa 1937-1938 - The horse pull toy is nineteenth century. Madame Alexander had a gift for capturing the essence of our cultural emotions and translating those shifts and trends into her dolls. One of many social adjustments was the transitioning of horseback riding and the equestrian arts from being a necessity of transportation, a form of horse mastership of the nobility and wealthy, and a principle element of military prowess into something that could be enjoyed by the general public and physicalness especially well suited for children and young adults. Equally suited to boys and girls, this public transition would spread from Europe and throughout the United States. Surprisingly, it was a young royal who would help open this door and help with the introduction. A young Princess Elizabeth was one of the first to be translated by Madame Alexander, which included in her Royal wardrobe, a Princess Elizabeth in her riding attire. 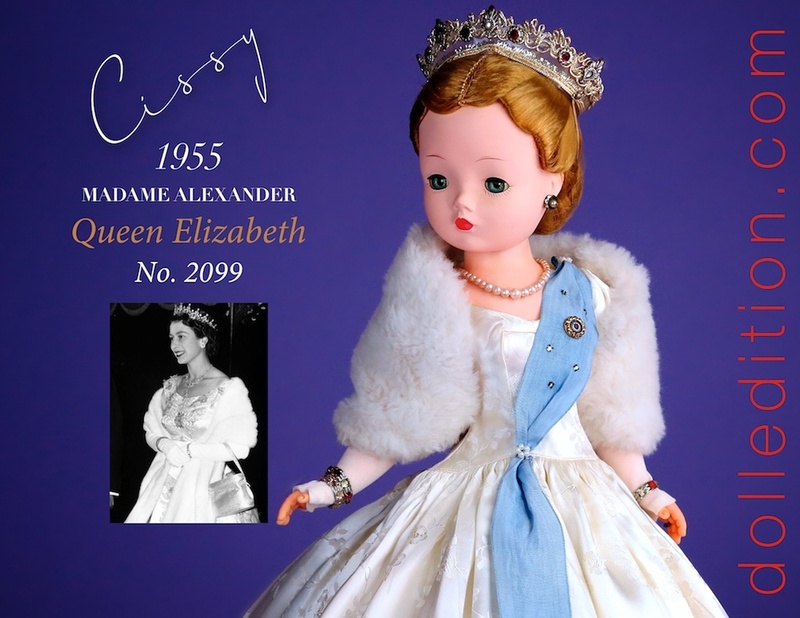 For those who saw the movie The Kings Speech, the period of the movie and the Alexander Doll Company production of Princess Elizabeth were at the same time. It was just becoming acceptable for women to ride “astride," without riding sidesaddle. Fast forward to the 1950s, a now Queen Elizabeth has Prince Charles and Princess Anne - both young riders who gave the emerging sport new role models the same age as many children starting to take up riding and equitation. Programs like the Pony Club which made its way from the hugely successful program in England and helped bring a uniform program of teaching horsemanship and the care and maintenance of your pony across the United States, Canada and Australia. With the glamorous young Kennedy family in the White House, the 1960s would get a new infusion from First Lady Jacqueline Kennedy and the pony Macaroni brought to live on the White House grounds for the benefit other children Caroline and John-John. Each generation would get a fresh translation by Madame Alexander.